The FAO Schwarz Big Piano is Famous FAO fun! 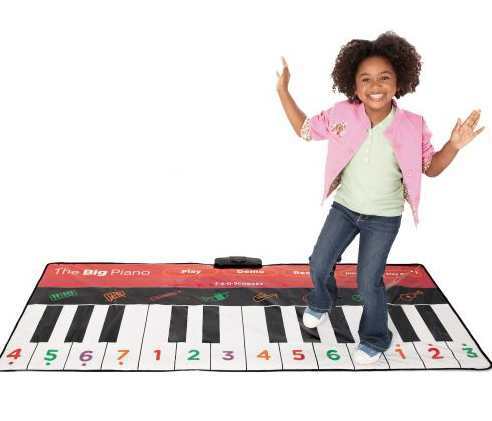 They'll be ready for the "big" time with this soft, 24-key, dance-on piano. Kids can dance their own tunes, play 10 prerecorded songs or record and playback original compositions in a choice of 8 instrument sounds.